Who pays for maintenance and repairs in a residential letting, landlord or tenant? Is it, for example, a tenant’s responsibility once they occupy my building to look after most of the regular house maintenance items? If the fridge stops working does the tenant or the landlord need to repair it? Your approach to tenancy management is the difference between that of a landlord acting like a professional and a skin-flint that generally gets landlords a bad name. Keeping your properties in a good state of repair with modern clean facilities not only means you are meeting your common law, contractual and statutory obligations, it keeps your tenants happy and means they stay longer, reducing void periods and increasing your overall profitability. My approach has always been to respond immediately when a tenant has a problem and get it fixed as fast as I can, even at week-ends sometimes. I never quibble over a few pounds, even when it is clearly reasonable to fix the blame on the tenant. It’s just not worth upsetting a good tenant for the sake of say £50 to fix something that’s broken, when that tenant might pay you £9,000 over the next year or so. It never ceases to amaze me that landlords will try to avoid paying these small sums at the expense of destroying a good landlord-tenant relationship. When tenants are delighted with the outcome, they think you are the best landlord since sliced bread. I’ve always taken the view, in all my business dealings, that a complaint is an opportunity to solve a problem and cement a great long-term relationship with a customer – tenants are no different. When you respond quickly and appropriately to problems it gives your tenants confidence in you as a landlord. But don’t be a sucker. You want to encourage your tenants to report defects, especially if they are serious and potentially expensive if left unattended, but mischief “problems” can sometimes be a smoke screen for not paying rent. In my experience good tenants rarely come up with problems unless there’s a genuine reason. So, if you get one that constantly complains, or asks for unreasonable work, beware and back off. Be prepared for trouble! Landlords have repairing obligations under common law, under contract (the terms of the letting agreement) and under statutory rules, which in the main come under the Landlord & Tenant Act 1985, The Environmental Protection Act 1990, and the Housing Health and Safety Regulations (HHSRS). The tenancy agreement will usually state that the tenant keeps the property clean and free from vermin, and carries out minor household repairs. All externals including the building structure, gutters, drains, etc., all essential utilities supplies, including water gas, electricity, sanitary and washing facilities, plus heating systems are the responsibility of the landlord in residential lettings. Where essential appliances are provided the landlord is responsible for their safety, repair and if necessary replacement should they fail. The property must be safe, secure and free from damp. Where a property falls below a certain minimum standard, which tenants are entitled to under the law, delays in repairs and maintenance put you at risk of being reported to the local authority environmental health officer. They have the power to enforce landlords to carry our work, or failing that, in extreme cases, the authority can do the work and charge the landlord. Furthermore, if the landlord or agent delays unreasonably in carrying our essential repairs, having been appropriately informed of the problem, a tenant has the right, subject to getting more than one estimate, to withhold rent to pay for repair work they commission themselves. Condensation and dampness are common in rental properties and a particularly contentious and tortuous issue for landlords – they sometimes unfairly get the blame. It’s often a combination of causes that result in hazardous black mould growth: water leaks, poor insulation, ventilation or inadequate heating systems, and/or the lifestyle of the tenants. Tenants not providing enough heating and ventilation when steam is produced with cooking, clothes drying, washing and bathing, can be the main cause too. If a property has been condensation free under a series of tenancies, until one comes along with these problems, it points to lifestyle. But even so, convincing tenants and the authorities that it is not the landlord’s fault can be a real problem. There’s usually only one absolute solution in these situations: fit automatic ventilators in kitchens and bathrooms or ideally a whole house ventilation system with heat exchanger. 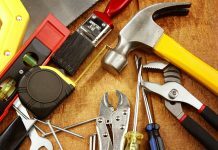 In theory, a landlord is not responsible for repairs which have not been reported by the tenant, though it is usually not in the landlord’s interest to ignore essential work. Access to do work, unavoidable delays due to, for example, unavailability of spare parts, and disruption caused if the work is extensive, can often be a cause of friction. These situations are when your negotiating and diplomacy skills are sometimes tested to the limit.